Born on the eve of a war that all but destroyed his kindred, the Shadow Clan, Ki is raised by the surviving elders. His whole life has been spent in training for just one purpose: to kill forty-two sinful people and collect into himself their souls, thus releasing them from their evil and becoming the savior of his race. Mission nearly accomplished, he discovers that his last two targets have committed no sin. One is a child too young to bear any guilt. The other is Elisabeth, a brilliant young “fringe sciences” researcher who harbors a terrible secret: she is half human, half demon. But she has suppressed her darker side and remained pure, so Ki cannot kill her. Yet. Still stranger things are afoot. In a realm of planets joined to each other, to the Netherworld, and to the magical Divine Court itself by five Gates, dark forces have been awakened. People’s spirit animals are vanishing. Whole families are committing suicide without reason. Dangerous creatures from the Netherworld are breaking through to the planets, attacking and abducting whoever they find. For reasons she does not comprehend, Elisabeth alone holds the key to understanding these strange events, but she needs Ki’s help. Would-be killer and would-be victim must form an uneasy alliance to halt the spreading darkness. In the end, they will learn that neither of them are what they once had thought. The Sixth Gate is the first volume in a planned trilogy (The Gate Trilogy). K. T. Munson has spun a complex, intriguing fantasy world filled with creatures of light and darkness. The story pulled me in from the start and kept me going, although I found it a bit easier to set aside in the middle than I did at the beginning and the end. The ending more than rewarded the effort, though. Pity I can’t tell you about it without giving away too many things! The characters were in the main well-defined, although I didn’t quite get the level of evil vibes I would have expected from the principal villain. The settings were quite good, particularly the look and feel of the Netherworld. I could well imagine myself slinking through its shadows, hoping to remain unseen. Overall, I’d put the story elements at a solid 4.5 stars. I found the writing a bit uneven, though. Some parts were quite good, especially in the earlier chapters, while other could use a fair bit of tightening. In particular, some of the dialogue and intense action scenes could use some help. However, these are issues most indie writers face in their earlier works, and I found the text readable enough to give the writing 3 stars. Overall, then, I feel justified in granting 4 stars to this novel. I look forward to book 2, The Nowhere Gate, being even better. The world of “The Sixth Gate” is quite complex and vibrant. Where did it all come from? Equal parts research and my brain! In my mind my characters are alive on these complex worlds and I’m simply writing down their lives. However, I only get snapshots in dreams and the like, so I have to fill in the pieces—hence the research. I found the relationship between Ki and Elisabeth intriguing. He is out to kill her and she knows it, yet they must work together to combat the growing darkness. On top of this, they both carry a lot of that darkness within them. Could you comment on how all that plays into their relationship? You’ve touched on one of the very important central themes to the book and series as whole: We are all born with the capacity for cruelty and for goodness. In a way I wanted to show that two people who are very similar in their inner struggles and circumstances took two different paths because of their environment. We are shaped by the conditions of our birth, but they do not have to define us. Without giving too much away, a point of clarification I’d like to make here is Ki wants to save Elisabeth by freeing her soul. He thinks of himself as a savior and doesn’t really consider his ‘darkness’ to be dark. It isn’t until Elisabeth becomes his mirror that he starts to question everything about his mission and by extension his ‘truths.’ In turn Ki is Elisabeth’s catalyst to help her come to terms with who and what she is. However, the acceptance of her demonic half is down to her in the end. There are a lot of mythological creatures as well as (it seems) creatures of your own making. How much did preexisting mythology enter into your world-building? Great question! It isn’t explored as much here, but many of the creatures throughout the series are either my own creation or borrowed from mythology for very deliberate reasons. I did use mythologies from across the world and through time, more so in Morhaven which you’ll see more of in the next two books. However, I borrowed from existing or historical societies as a loose foundation on each planet and then built up around them my own flourish of cultures, belief systems, and social structures to create each unique planet. It was a lot of work to build 6+ unique planets, and there is so much more on each planet that isn’t explored because it isn’t relevant to Ki and Elisabeth’s story. Thankfully I love world-building, so even though it took time, it was a lot of fun! This is book 1 of a planned trilogy. What can you tell us about the next book? Thankfully, I’ve already written the next two books. I’m happy to report that because there has been so much positive feedback I’ve been working like a madwoman to get the second book ready for publication later this year, rather than next year. For the next book you’ll want to hold onto your seat because you’re in for a wild ride! The second book, The Nowhere Gate, starts off with Ki completely without memories or a body on an unknown planet. Meanwhile, Elisabeth’s search for Ki takes her and Nanette to Morhaven where Elisabeth must face new perils, from creatures to the cunning Det Mor Clan. It is under the pretense that Nanette serve her month with Ethandirill in the Netherworld. For fellow writers, keep writing. Let your stories be told. For readers, bless you! Novelists like myself need readers like you who are searching to be transported to other worlds. 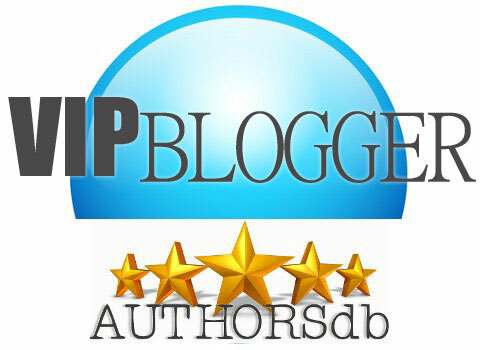 On my blog, my mailing list, Facebook, Twitter, Pinterest, Instagram, Goodreads, my Amazon Author Page, and Smashwords. 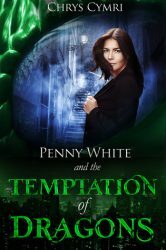 Penny White is a faithful and caring Anglican priest with a bit too much familiarity with alcohol. That might explain why, coming upon the scene of a traffic accident, she finds herself giving last rites to a fatally injured dragon. Yes, dragon. Curiously, inebriation didn’t conjure this situation. The deceased dragon is real, and her pastoral care for the exotic creature is about to catapult her into a new Church role: Vicar General of Incursions. Turns out our world and another coexist in close proximity, connected by “thin places” where those who can sense them–or who just stumble upon them–can cross between. Stranger still, that other world is populated by, among other things, dragons, unicorns, griffons, harpies, and snail sharks. The Vicar General of Incursions has to deal with accidental crossings. Somebody has to do that because, trust me, you don’t want a snail shark infestation! Still, Penny has enough on her plate already: her much younger brother, just returned from New Zealand with computer skills but no cash and even less sense of responsibility; her husband’s accidental death in a boating accident a few years before; deathwatch beetles eating the pews; clueless parishioners; other people’s tragedies. For anyone else, it would all be too much. But Penny has a thing for dragons, not to mention Dr. Who and Star Wars and whatnot, so she can hardly refuse the appointment. Besides, at least one dragon seems to have a thing for her. As does a certain police inspector. And more seriously, the death of that dragon in a traffic accident may have been no accident. The Temptation of Dragons reads like a cross between Harry Potter and The Vicar of Dibley. It’s a fun romp through fantasy and reality, tinged with humor and pathos. Both story and writing are solid, proving that indie writers can indeed publish material every bit as good as anything that comes out of a traditional publishing house. There is a healthy dose of Anglican religion, but not in a preachy way. It’s simply a necessary part of Penny White’s life, done well because Cymri is also a priest. I’m looking forward to reading the next installment in Penny’s life, The Cult of Unicorns, as well as the subsequent novels. So, zero complaints, five stars. Well done! This is a wonderful novel. Is it your first, or had you written other novels before? My first two novels were traditionally published in 1996. Sadly, these only sold around 5,000 copies each, so the publisher and my agent dropped me. I continued to write, but only a couple of years ago did I decide to publish what I’d produced during those years. Penny White, however, is only two years old. Like Penny White, you’re a priest. How much of her is really you? When my bishop told me, “I really enjoy Penny White,” I felt the need to tell him, “But I can assure you I don’t drink as much as she does.” We do have similar tastes in whisky and Doctor Who, but she is far more reticent than me. (I have a tendency to say what I think and then get into trouble for it). I don’t have her same family experiences and, sadly, there’s no darkly beautiful dragon haunting my back garden. I couldn’t help but notice (as I said in my review) certain resemblances to both Harry Potter and The Vicar of Dibley. How much (if any) have either of those influenced the development of the Penny White series? I like Harry Potter, but I’m more of a Narnia fan, and I think that might be the greater influence. I’ve only seen a couple of Vicar of Dibley episodes, but I did enjoy Rev and, again, that’s probably had more of bearing on what and how I write. Without giving too much away, what can you tell us about Penny’s further adventures? Well, the romantic triangle continues, but isn’t the major focus of the series. I’ve just finished the fifth novel, and there is a resolution of sorts. In the fourth book, The Vengeance of Snails, we finally discover the truth about who Clyde really is. 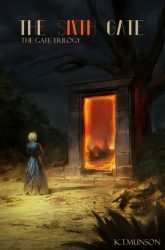 Penny becomes far more involved in the magical country of Lloegyr as the series goes on, and discovers that there is a dark side to her adventures. What advice to you have for writers or readers? Writers: Don’t publish too soon. Make sure you have people read your novels, and take on board their criticism. Readers: Please do leave reviews. It keeps us writers going when we’re plugging on late into the night after a long day at work. On my website, Facebook, and Goodreads. Scattered throughout the void, a collection of stations provide services to travelers and host meetings between wealthy executives who wish to avoid scrutiny of their business dealings. Si-Cross Four is one such station, but it’s hardly the place to be. “We were halfway between bigger and better places,” Detective Trackneathan comments. “Bigger to the left, and better to the right!” Track, as everyone calls him, is basically a good cop with a bad mouth. His attitude gets him into trouble time and again, and now he’s been suspended for simply doing his job: in self-defense, he’s shattered a criminal’s jaw, and Authority Four, the local security team, has to pony up for a mechanical replacement. They don’t like that. Prosthetics are a way of life on Si-Cross Four. Following a biological disaster (referred to as an “outbreak”) some years back, many of its denizens now have mechanical limbs, and thanks to a shortage of funds and materials, many of those limbs are balky. Track’s own knee gives him incessant problems, so he knows what it’s like. Survivors of the original outbreak, gray-skinned and often missing more than one limb, are stigmatized as “Remnants.” Everyone is terrified of a new outbreak, so when a woman drops dead at Track’s door, that’s the first thing they think of. But Track isn’t so sure. Funny things have been going on lately. 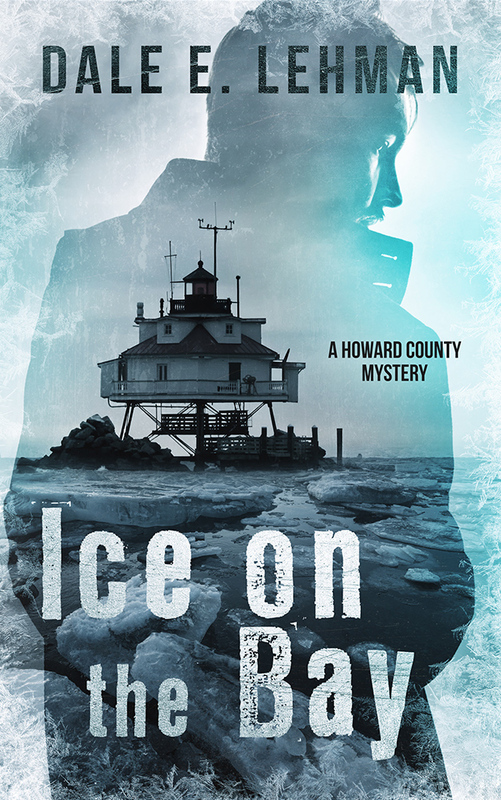 Remnants are vanishing, he’s being followed, his apartment is being broken into, investigations have been shut down, and he’s bombarded by strange messages that could only have been sent by his dead husband–messages that nobody else sees or hears. Are the decontamination drugs Track is required to take messing with his perception? Is he loosing his mind? Or is something sinister truly afoot? Suspension isn’t going to stop him from getting to the bottom of it. 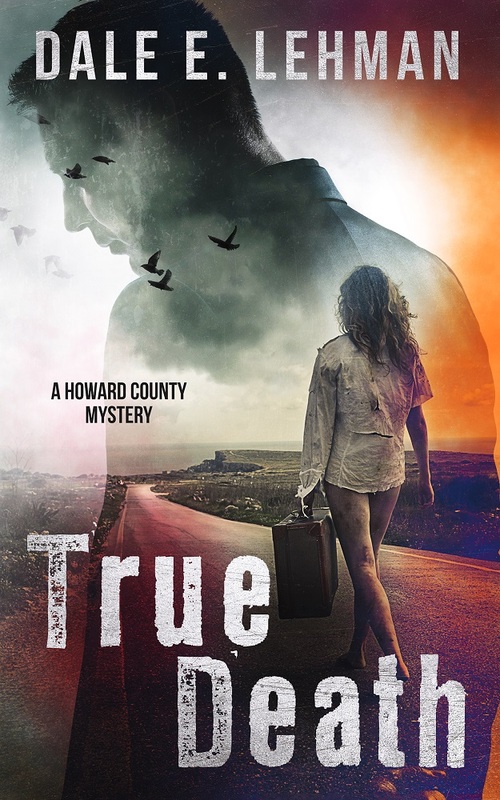 The truth turns out to be far more twisted than he could ever have imagined. Missing Remnants was written for and is available on Radish, a mobile app that allows downloads to Android and iOS devices. It is not currently available through any other venue. Cooper wrote a couple of previous works that did not find publication, and this one is technically not published yet. She plans to revise and edit it further and either publish it through a traditional publisher or, failing that, go the indie route. In reviewing it, I’m therefore treating it as an advance review copy (ARC) in which editing is not complete. From that standpoint, I can’t find much at all to pick on. 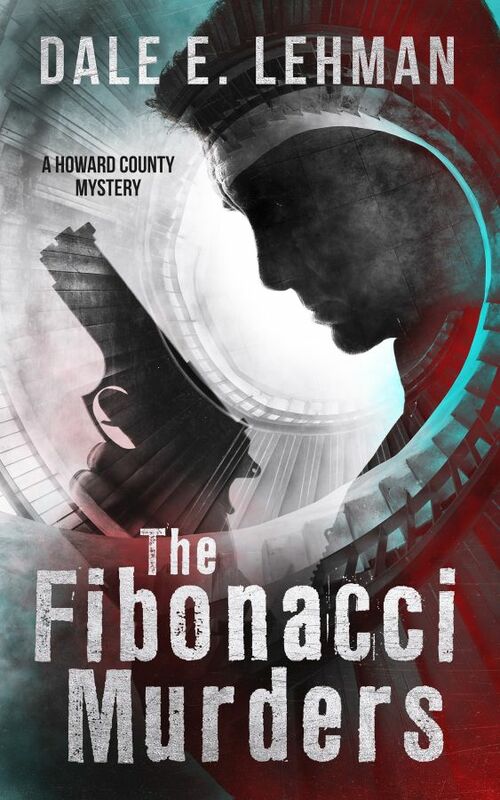 The story is solid, the characters are well-drawn, and the pacing is about perfect. It’s a page-turner for sure. If anything is wrong, it might only be that the world of Si-Cross Four isn’t explored in quite enough detail. This is a short novel, around 47,000 words, partly because of the requirements imposed on authors by Radish. There is room for a lot more. And yet, I hardly noticed this omission while reading. It was only afterward that I started wondering about the nature of these outbreaks, the place of Si-Cross Four in the larger conglomeration of stations, and similar questions. So I don’t feel it’s worth dinging the work much on that account. I’d rate both story and writing on the high side of 4.5 stars, which means a 5 for all intents and purposes. With editing and maybe a bit of expansion, the final product could well be a 5. Great job! Detective Trackneathan (Track) seems a bundle of contradictions. He has a volatile exterior that gets him into trouble, yet he fawns over his robotic dog and spends his off-hours fixing disadvantaged people’s artificial limbs. He’s an experienced detective who seems to have the grudging respect of his superiors, yet he often portrays himself in this first-person narrative as a bumbling idiot. How do you see him? That’s accurate! Track is good at his job but he has a history of cutting corners. The world he inhabits likes things to be done in a certain way, almost to the detriment of the end result. Track likes to find a shortcut. He’s grieving, he’s trying to pretend he’s okay, occasionally he loses his temper and lashes out in situations where tact might be the better option. He’s also carrying a long term injury to his right knee. He’s dealing with physical pain, grief and survivor guilt and sometimes just doesn’t rate himself highly. I suspect there is a lot more to this world than you’ve told us. Track works for Si-Cross Four Authority, and other Authorities are mentioned. Can you tell us what these other Authorities are and how they are interconnected? Somewhere in a wide universe, I see a system of space stations used almost like motorway service stations. Each station has a number. In this case, we’re on Si-Cross Four. The security team on the station has the corresponding title Authority Four. I worked in IT for a few years. Each cluster of buildings in London had its own IT department. It made sense for me to assume a similar premise for space stations! They are meeting places where ships can refuel and be repaired, and where executives who want to do deals face to face can avoid their every word being recorded. The word “Authority” is somewhat misleading. They keep the peace on their station and investigate crimes, but they have no say in anything outside of their microcosm. The wider system is overseen by a group no one sees. The people on Si-Cross Four are just there to keep their mouths shut and get on with their jobs. I understand that Missing Remnants isn’t actually published yet. What plans do you have for it? Like everything I write, I’ll sit on it for while and iron out more kinks. If I fail to find a traditional publisher for it, I’ll buy a cover and do what I did with my first two books: publish ebooks on most of the platforms and paperbacks wherever I can. It is becoming increasingly obvious that I do not have the time in the day to put in all the hours required as an indie author to find promo outlets which work without pushing myself into debt! 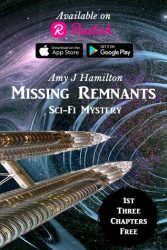 Missing Remnants is currently only available to read on the Radish Fiction app for iOS and Android. 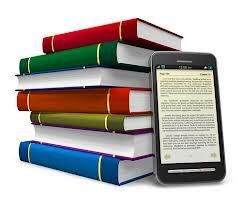 The app is free and you can read the first three chapters of any book for free. Some books are totally free. Other books have a micropayment attached to chapter four onward. I wish you all the best with that. It’s a wonderful story, so I hope you can find a publisher. In the meantime, what else are you writing? I started serialising Iridessian Haunts when Radish asked for Halloween stories back in September. It was never featured in any of their collections but I’ve started, so I’ll finish. A team has landed on planet Iridessia. They are there to ascertain its viability for colonisation. Everything seems fine except for some big cats out by the third waterhole. Kanner and Nix are investigating a cave system near their temporary settlement. While they’re in there marveling at the pumpkin-like plants able to grow in a cave (I even mentioned pumpkins! ), they see shadowy figures and eventually are possessed by an entity they have not encountered before on any planet. Essentially, Iridessia has everything, water, breathable air, land, ghosts. When I can think of something interesting to say, I am also writing for Medium.com. Writers can be paid if paying members “clap” their articles and stories. If there is something I need more than time, it’s money. For writers: Don’t get to the end of writing the book and think you’ve finished. In an ideal world, everyone would be able to pay an editor. At the very least download a free grammar checker for your word processor. Do not hit publish until you know your sentences make sense! If you can get someone to read it for you who won’t automatically agree with everything you write, even better. Nothing should read as if it’s been badly translated from a foreign language. Not that I’m an expert, but I have been known to make sense on occasion. Even then you haven’t finished; you won’t sell anything unless people know about you. On my blog, Twitter, Facebook, Goodreads, Smashwords, Amazon, Radish, and Medium.